Now's the Time to Make the Move to Smart Cards - AutoClerk, Inc.
“Smart cards” have been ubiquitous in Europe and many other parts of the world for years, but they’ve only begun to migrate to U.S. shores over the last three years. The timing is right, because there are good reasons for anyone who accepts point-of-sale card payments to adopt this technology right now. Hotel owners have particularly strong incentive, since new rules adopted by payment processors shift the liability for those who haven’t made the switch to the merchant. Thousand-dollar room charges that the credit card companies used to cover could now be your headache. The benefits of EMV are already evident. Visa reported that merchants who use chip readers saw a 52% percent drop in counterfeit fraud in 2016 compared to a year earlier. In contrast, Mastercard said counterfeit fraud costs jumped 77% year-over-year among large U.S. merchants who aren’t yet using chip readers. 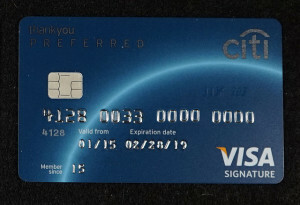 Smart cards, otherwise known as EMV (for Europay, Mastercard and Visa) have an embedded chip on their surface that contains information about the cardholder beyond what’s stored in the magnetic stripe. The reason they’ve been slow to come to the U.S. is because our robust telecommunications infrastructure and sophisticated fraud detection software have enabled nearly all credit card transactions to be conducted online. That’s not true in many other parts of the world, so the extra protection of the chip and its associated personal identification number (PIN) offer an added layer of security. But technology is catching up to mag stripes. Criminals can now purchase equipment that manufactures fake credit cards for just a few hundred dollars. Couple that with the numerous large cyber breaches that have compromised millions of credit card accounts in recent years, and it’s clear that the protections that worked in the past are no longer good enough. Although the U.S. rollout of EMV cards has been hampered by delays and technical problems, most of those bugs have now been worked out. It’s time to plan your own migration. While adopting smart cards involves swapping out some of your existing equipment, there are several good reasons why they make sense for your hotel. A big one is that under new rules adopted by the the major U.S. credit card issuers in 2015, liability for card-present fraud has shifted to merchants if they don’t use EMV-compliant equipment. Previously, credit card companies swallowed the losses. Given that credit card fraud using mag stripe technology was estimated to total $4 billion in 2016, that’s a pretty strong incentive to upgrade. Another is that the new breed of terminals also enable guests to use other mobile payment alternatives like Google Wallet, Apple Pay and Samsung Pay. About one-quarter of smartphone owners used mobile payments as of the end of 2016, and that figure is expected to rise to 37% by 2020. While smartphones still account for less than 6% of total retail sales, the figure is climbing. Signature retrieval is easier with EMV terminals because guests can sign the built-in electronic signature pads right on the readers. Over time, this process is expected to move to a combination of chip and PIN authentication, which is even more secure. Data transmitted by EMV readers to credit card processors is encrypted by default. This reduces the risk that data can be intercepted by a cyber-criminal tapping into a phone line or wireless network. Encrypted EMV reader data can’t be decrypted by anyone at the hotel, not even the AutoClerk PMS. That makes proof-of-compliance easier and reduces the risk of complaints or legal action by customers. Transactions are self-contained and conducted at the point of sale using integrated EMV terminals. No longer does a waiter or clerk need to take the card out of the customer’s view for processing. While this is more of an issue for restaurants than for front-desk operations, it contributes to the customer’s perception that the hotel is taking security seriously. With 600 million EMV-compliant cards having already been issued to U.S. consumers, the tipping point of adoption has clearly been reached. With that said, what are you waiting for? AutoClerk is happy to answer questions and help you with the transition.